Why This Matters: About one in nine San Diego County residents could be directly impacted by a repeal of key provisions of the Affordable Care Act, and many do not realize it. 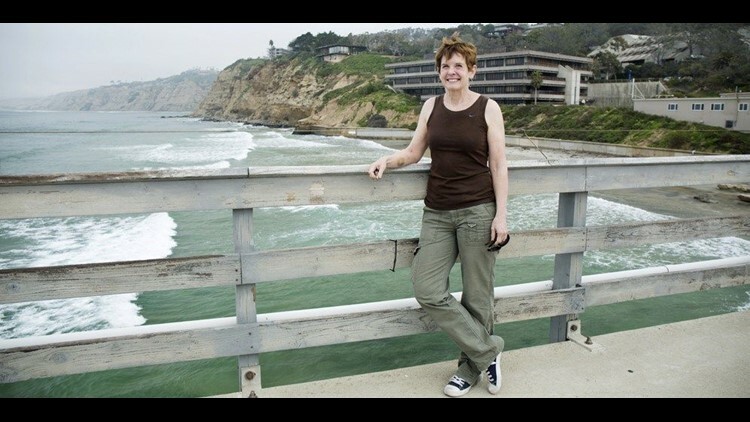 Scripps Institution of Oceanography scientist Linda Rasmussen is “extremely nervous” about President Donald Trump’s plan to repeal Obamacare. It’s kept her healthy since 2014, when she enrolled in a subsidized plan through Covered California, the health insurance marketplace the law enabled. If Republicans repeal it without an equivalent replacement, and without federal subsidies she now receives, she’ll be out of luck. Because of a pre-existing condition decades ago, she said, “I would not be able to get health insurance period, not at any cost. I’d be completely uninsured,” just like before the health reform law took effect. Rasmussen, 56, is one of about 370,000 San Diego County residents (4.7 million in the state) — or one in nine — who could lose health coverage if the insurance provisions in Obamacare, or the Patient Protection and Affordable Care Act (ACA), go away. She lost coverage in 2011 when an SIO grant was reduced, and forced her into part-time status. About 121,710 county residents were enrolled in health insurance through the state’s exchange as of last June, according to data from Covered California. And of those, 108,500 — including Rasmussen — were receiving some form of tax credits, in some cases more than $1,000 a month for families, to subsidize their insurance premiums. Additionally, more than 250,000 of the more than 900,000 county residents enrolled in Medicaid (called Medi-Cal in California) have that coverage because the ACA raised eligibility to include people between the ages of 19 and 64 with incomes between 100 percent and 138 percent of the federal poverty level in California. They too might lose affordable coverage, especially if repeal deletes federal tax subsidies that most expansion enrollees receive. With the tax subsidies, Rasmussen is able to buy Covered California insurance for $14 a month. If the malignant melanoma she successfully fought several years ago returned, the most she’d have to spend a year would be a $6,800 deductible. Repeal of the statutes authorizing the establishment of Covered California and the Medi-Cal expansion would particularly hit San Diegans between the ages of 18 and 64. Some 92 percent of Covered California enrollees in San Diego County are between 18 and 64. And the ACA’s Medi-Cal expansion only applies to those between the ages of 19 and 64. All told, about one in six San Diego County residents between 18 and 64 rely on one of the programs for coverage. About 1.1 million Californians 65 and older also could be affected, including more than 70,000 low-income people 65 or older covered dually by Medi-Cal and Medicare. What the national insurance market established by Obamacare will look like next year remains unclear, but the new administration took steps Wednesday to stabilize the insurance marketplace in 2018. Proposed changes include narrowing enrollment periods and allowing states to determine what constitutes an adequate provider network for a health plan in that state. Craig Sturak, spokesman for the San Diego County’s Health & Human Services Agency, declined comment on the impact on the county, but Gregory Knoll, head of the San Diego Legal Aid Society and Consumer Center for Health Education and Advocacy, which partners with the county to enroll patients in Medi-Cal and Covered California, said agency officials are “terrified” that Obamacare will be repealed without an equivalent replacement. For starters, it will mean the county could become responsible for insuring tens of thousands of county residents who got coverage for the first time through Obamacare. Nearly a quarter of a million county residents enrolled in Medi-Cal through expanded eligibility from 100 percent of the federal poverty level to 138 percent, he said. “If that goes away precipitously,’ Knoll said, “many of those people … would immediately become eligible for the County Medical Services program or CMS,” which the county funds. It’s a payment program for nonemergency yet essential medical services, such as cancer surgery, for low-income adults who don’t qualify for other programs. The state requires the county to run the program. Over the years, the county has expanded eligibility for the CMS program to cover more patients, but under Obamacare, many of those patients became eligible for Medi-Cal. Also under Obamacare, many previously uninsured people received tests and diagnosis for previously unrecognized health issues, and now need ongoing care. inewsource contacted the offices of all five San Diego County members of Congress: Representatives Susan Davis, Duncan Hunter, Darrell Issa, Scott Peters and Juan Vargas. Only Issa, a Republican, and Peters, a Democrat, agreed to talk. Their comments showed the equally deep divisions and uncertainty over what could become of the 13.5 million Californians who depend on Obamacare’s various coverage options. Issa vowed that “no one’s going to be left uninsured in the transition from a failed program … to one that actually can be both effective and have cost controls” but offered little in the way of specific guarantees that individuals on Covered California or expanded Medi-Cal would keep their coverage. Peters said it’s up to Republicans, who have campaigned on Obamacare repeal for four election cycles, to come up with a plan. “There’s only a few other ways to go. You can go to a single-payer, government model which none of us want — I don’t support. Or you can go back to what we had before Obamacare, which was insurance companies making all the decisions. The individual mandate requiring all Americans to have health insurance is among the most controversial. Its repeal is an article of faith among most Republican politicians. Issa likened purchasing health insurance to buying car insurance. He said it should be an individual decision — and the consequences for that decision should be borne by the individual. Unlike the individual mandate, Obamacare’s ban on insurance companies’ denying coverage due to pre-existing conditions enjoys bipartisan political support. And that, said Peters, is a problem. Dr. Jim Dunford, an emergency medicine physician who also is medical director for the city of San Diego, expressed a similar view. He predicts that a repeal without an adequate replacement will have dramatic repercussions on the county, especially in the state’s second largest city, with 1.4 million people. “I just feel really sick about the whole thing and I know that everybody else who is in health care feels the same way,” he said. Workloads in hospital emergency rooms could change. A repeal also could spell trouble for the city’s contracted ambulance company AMR, which responds to medical emergencies. AMR’s revenue comes entirely from patients and their insurance companies, and if more patients they assist are uninsured, those costs will have to be shifted to insurance companies, which will pass those on to employers and enrollees through higher premiums. One option that’s been floated by senior Republicans, including House Speaker Paul Ryan, is to turn the entire Medicaid program into a block grant, which will enable federal dollars to continue flowing to the states. Experts believe a block grant would come in the form of a lump sum payment, rather than the current system that pays a fluctuating amount dependent on the number of enrollees and changes in costs of services, such as more expensive medications. Issa, the Republican congressman, said he favored such a block grant plan. Under Medicaid expansion, the federal government fully funded the first three years of the expansion. The federal share will gradually drop to 90 percent by 2020. Many Republican governors and state legislators justified blocking Medicaid expansion in their states by describing the 10 percent of the program their states would eventually have to pay as a budget buster. Issa, acknowledging that the federal government pays for the vast majority of the expansion, takes the opposite view. “California doesn’t have much skin in the game and as a result, they don’t have a vested interest in making this program affordable,” Issa said. He said block-granting Medicaid might incentivize greater savings. Peters was far more guarded about the proposal. State Sen. Toni Atkins, a San Diego Democrat, said it’s not clear that California would have the funds to make up for what the feds no longer support. “There’s a huge impact to this county if we lose either the piece of it that make the ACA work and Covered California, or, if we lose money for the overall subsidized Medi-Cal program,” Atkins said. That’s between $16 billion and $22 billion in federal dollars per year, she said. If a block grant proposal is adopted, it’s likely that far less money would flow to states like California, which now receive 95 percent federal share for the expansion population and 50 percent federal support for the remaining 750,000. Less money from the feds translates to less money for services. And that doesn’t just affect enrollees or low income people who want to buy health insurance, Atkins said. She noted that providers who agree to accept Medi-Cal patients are already in short supply. President Trump has hinted that people with pre-existing conditions may still be able to get coverage, Graves noted, but “the costs will probably be astronomical,” in effect leaving millions of Californians now covered without a health plan. She has bipolar disorder, and lost health coverage when one pharmaceutical company she worked for laid her off in 2007, forcing her to continue working as a consultant, without health insurance. When Obamacare took effect in 2014 it enabled her to buy coverage through Kaiser Permanente, $464 a month last year, because it prohibited insurance companies from using her condition to deny her coverage. Likewise for Margarita Moore, 40, of Rancho Bernardo, who also has a pre-existing condition. She lost insurance when she left her job with the U.S. Attorney’s Office in 2009 to start a new career. Through subsidies paid by the federal government through Obamacare, she now has coverage through Covered California. If her monthly subsidies amounting to $105 a month go away, she couldn’t continue her coverage and would go on the rolls of the uninsured. Rasmussen, who lives in Bay Park, takes medications to prevent a return of her pre-existing condition, which falls within her deductible. But she gets free preventive services like colonoscopies, mammograms, pelvic exams and annual physicals — “all the things you need on a routine basis” that are completely covered by health plans according to the rules set by Obamacare. In a free marketplace, those rules could go away, and insurance plans might vary in what benefits they guarantee. She is hoping that California, which led the way to adopt Obamacare, finds some way to fill the gaps. “That’s something I intend to ask my representatives about, to see if California is at least discussing a contingency plan,” she said.